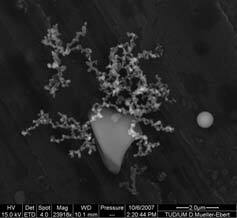 The "Tropospheric Laboratory" allows insights into cloud cores and other matter of the apogee. 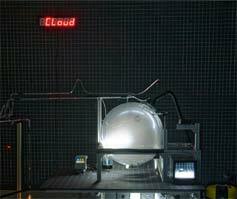 The installation narrates the synthesis of clouds and shows varying conditions and combinations of art and science in the absence of weight. 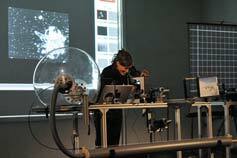 The "laboratory" is the gravimetric document of "Cloud Core Scanner" - an experiment and artistic project by Agnes Meyer-Brandis, carried out on board a German Aerospace Center research plane. It reflects an iridescent world, between controlled and unleashed states: artistic research on the quest for a degree of reality within constructions. Videostills from cloud cores in weightlessness, generated inside the ADM-Box - the so to say Cloud Core Visualisation Machine, which is part of the CCS experiment. The Subsurdum Wall allows a deeper insight of the installation. 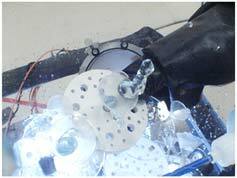 It shows the context and surrounding world within which the artistic work and the CCS project have emerged. to have a closer look at the Subsurdum Wall and collection. 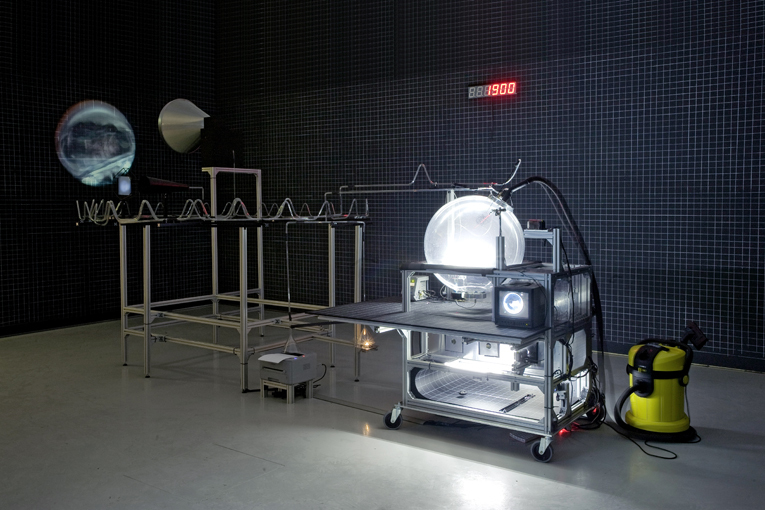 The CCS Experiment Documentation allows insights into the "Cloud Core Scanner" experiment and artistic project carried out on board the German Aerospace Center research plane. The Wanderkino deals with the Art and Science under the absence of weight. 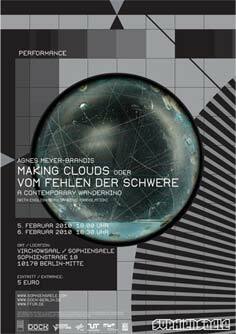 As a mix of film, performance and lecture it shows flying machines with mechanisms based on gravity and weightlessness, examines cloud cores and presents a gravimetric documentation of an unusual experiment. A produktion of DOCK e.V. in collaboration with the Schering Foundation and the Sophiensaele. 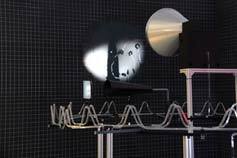 The experiment "Cloud Core Scanner" was realisiert in cooperation with the German Aerospace Center DLR.